The Buick Special was an automobile produced by Buick. It was usually Buick's lowest-priced model, starting out as a full-size car in 1936 and returning in 1938 (after a two-year hiatus) as a mid-size. By 1970, Special was no longer offered as a standalone model but the name would later be used for the entry trim on 1975 to 1979 and 1991 to 1996 Century models. The entry level Buick can trace its heritage to the Buick Model 10, a companion to Buick's first car, the Buick Model B. The Model 10 started out as one of the independent brands merged into Buick, called the Janney. andymackie22 Uploaded by andymackie22 on Dec 31, 2017 . 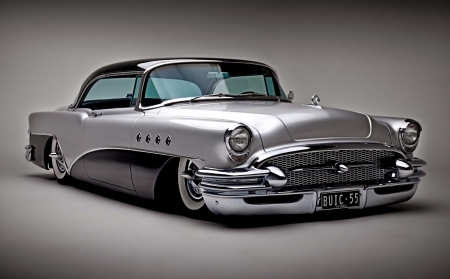 1955 Buick - Desktop Nexus Cars Download free wallpapers and background images: 1955 Buick. Desktop Nexus Cars background ID 2341323. The Buick Special was an automobile produced by Buick. It was usually Buick's lowest-priced model, starting out as a full-size car in 1936 and returning in 1938 (after a two-year hiatus) as a mid-size.